The ZZF was an initiative of the German Council of Sciences and Humanities (Wissenschaftsrat) in 1991 which, alongside the dissolution of the SED-dominated non-university research institutes of the Academy of Sciences of the GDR, called for the creation of new Humanities Centre’s (GWZ) with the aim of merging the positively evaluated research projects of East German specialists in the field of contemporary history with those of West German and international scholars. The Forschungsschwerpunkt Zeithistorische Studien (FSP – Contemporary History Research Focus) initially founded as a result of this in 1992, under the aegis of the Förderungsgesellschaft Wissenschaftliche Neuvorhaben (Promotion Company for New Scholarly Projects) of the Max Planck Society, developed in just a few years under the leadership of its founding director Jürgen Kocka into an internationally renowned institution in the field of GDR studies, combining methodological innovation with a publicistic mission and a firm commitment to the task of integrating scholars and specialists from East and West. Originally housed in the now disbanded Academy of Sciences in Berlin, in early 1993 the FSP moved to its own premises located at “Am Kanal” in Potsdam and has since assumed responsibilities in teaching and research promotion at the University of Potsdam in addition to resuming its own research work. 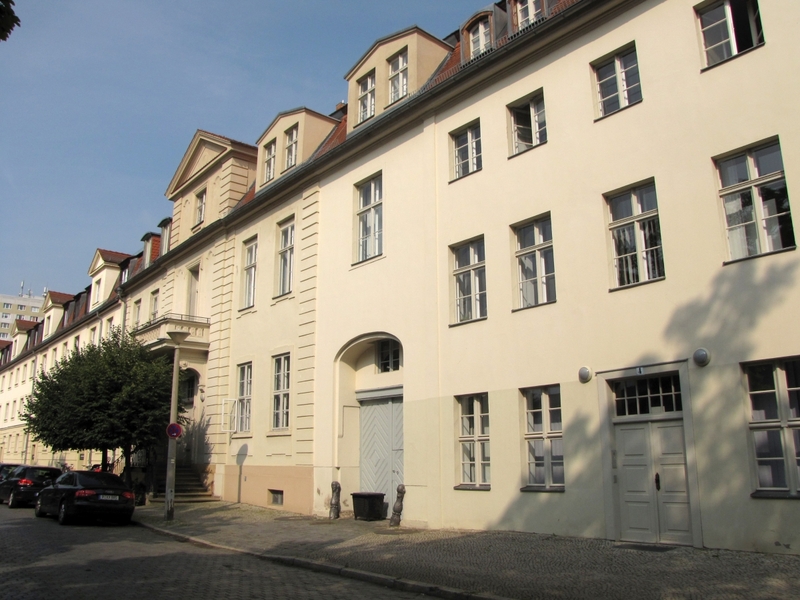 In 1996, the FSP was refounded as the Centre for Contemporary History (ZZF), with ten positions and an initial funding period of twelve years, one-third of this from its host state of Brandenburg and – via project financing – maximum two-thirds from DFG (German Research Foundation) grants. Until its inclusion in the Leibniz Association on January 1, 2009, more than 20 independent DFG research projects were being worked on annually, assigned to four project areas with various thematic and methodological focuses. These focuses included the analysis of mechanisms of political integration in East and West, studies on opposition and resistance in the GDR, comparative investigations of labor and economics in East-Central Europe, and the role of ideologies and mentalities during the Cold War. Added to this were additional research projects externally funded by other DFG programs and foundations as well as ZZF-supervised doctoral fellowships. In light of its ever growing staff, in 2001 the ZZF moved into a larger building at the New Market Square (Neuer Markt) in Potsdam. As of 1996, the ZZF was headed by two directors, Christoph Klessmann (until 2004) and Konrad H. Jarausch (until 2006). Together they further established the ZZF in the field of contemporary history research, promoting its broad national and international networks. Originally committed to the topics and issues of a critically renewed and now “historical GDR studies,” the institute increasingly expanded its working areas beyond comparative communist and dictatorship studies to include more recent German contemporary history in an international context. Under the co-direction of Martin Sabrow as Christoph Klessmann’s successor as of 2004 and under his sole direction as of 2006, the institute gradually opened itself to new topics and a diachronic perspective on the history of Europe in the twentieth century and its signature events, thus consolidating its institutional position in contemporary history studies with a focus on the period after 1945. A positive evaluation by the German Council of Sciences and Humanities in 2004 and 2006 led to its inclusion in the Leibniz Association on January 1, 2009 with joint federal and state funding. With the appointment of Frank Bösch in 2011, the ZZF has once again been headed by two directors. Having made a name for himself with his studies on social, cultural and media history, Frank Bösch has since helped expand the ZZF portfolio to include the history of Western Europe and embed German history in trans-border transformation processes. By continually broadening its thematic focus, the ZZF has had a formative influence on contemporary history studies in Germany for more than 25 years.